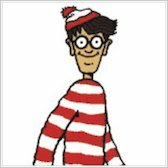 It’s been 25 years since Wally started wandering off, but he’s still not been cured of his hiding habit! 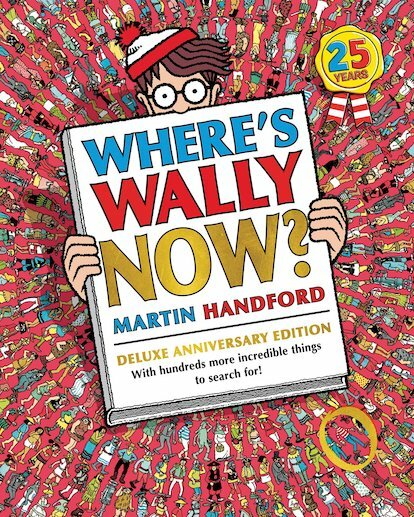 And in this expanded anniversary edition of his second adventure, Wally is up to his old tricks yet again! He’s got glasses, a bobble hat and a stripy jumper. And he’s somewhere on each page in this book. You’ll have to journey into the past – and the future – to find him, exploring Ancient Egypt, Ancient Rome, Viking ships, the Crusades, the Middle Ages, the Aztec empire and a space colony too! 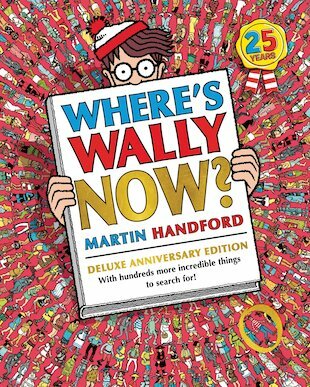 With so much to look at, plus fiendish new pictures to conceal him, do you think you can find Wally yet again? very hard and challenging. But it is still very good. Wallys is traveling back through time.